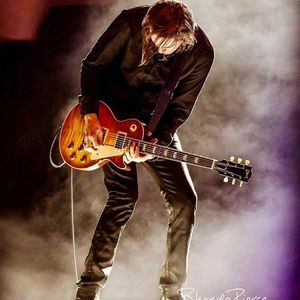 Ryan McGarvey has in a relatively short amount of time not only gained a national, and international fan base, but admiration from his personal idols as well. In the past few years of Ryan's career he has had the honour, and the pleasure of sharing the bill with such top name act's as Eric Clapton, Jeff Beck, B.B. King, Joe Bonamassa, Gov't Mule, The Fabulous Thunderbirds, and many more. His debut CD release "Forward In Reverse" reached the top 20 (out of over 200,000 Artist's Cd's) on the best sellers list on CDBaby.com (The worlds largest online independent distributor).